What would happened if Apple and Nintendo merge? 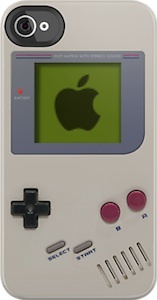 Just look at the picture and you see there first product the Apple Game Boy. This case for the iPhone and iPod Touch looks amazingly real just like a Game Boy with the Apple logo on it’s monochrome screen. 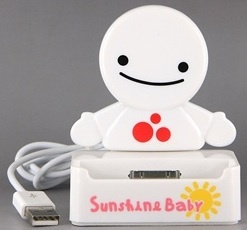 Of course it is just a case for your Apple device. This case comes in a bunch of different versions this Apple Game Boy case is available in versions for the iPhone 3g, iPhone 3gs, iPhone 4 and iPhone 4s and there is also a version that fits your 4th generation iPod Touch. And these case will fit all carrier models so no worries it will fit on your phone (if it was in the list). Bring back the past with this fun Apple Game Boy Case for iPhone and iPod Touch. Ok let me start with saying that I am sorry about the faulty name it should be pi instead of pie but I will keep calling it that any ways. This case says it all. 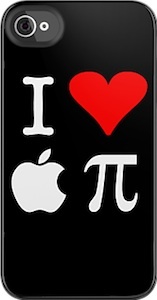 It shows I then a heart then the Apple logo and then the pi sign and that makes it say “I love apple pie”. A super fun case for when you are geek like me. 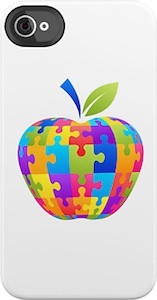 And that means that you can have a super fun case that makes you hungry for 3.14…… or maybe just regular apple pie. 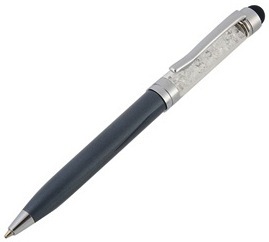 Of course all these nice cases will protect your iDevice from harman and will look amazing. Just check out all the details about this I Love Apple Pie iPhone / iPod Case. So you have a white iPhone and yes the world wants to see how white it is but how do you protect you white iPhone? 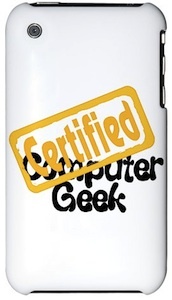 Have a much much closer look at this Certified Computer Geek iPhone Case. This is a great looking iPhone case for a geek or nerd like me. 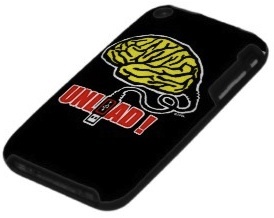 It has a picture of a brain with a USB cable on it and the words UNLOAD! Seems like the perfect way to protect your brain from an overload. Go check out this Speck Brain to Unload! iPhone Case.